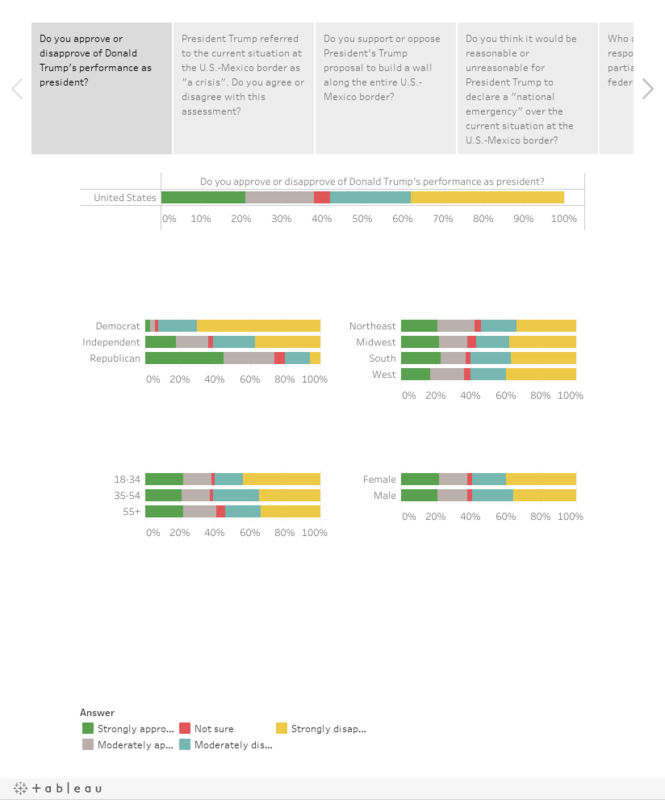 Research Co. had the opportunity to ask Americans about their current head of state this month, as well as to review two topics that have dominated talk around the District of Columbia for the past few weeks: border security and the partial government shutdown. Whoever becomes the Democratic nominee in 2020 will have a difficult time trying to move these diehard Republican supporters away from Trump. Independents are a different breed: they have fluctuated wildly in the past as presidential campaigns have progressed. In 2012, Mitt Romney overtook Barack Obama for a brief period as the first choice for registered independents in a tracking survey I conducted for a now defunct company. Obama ultimately rekindled with these voters and earned a second term in office.